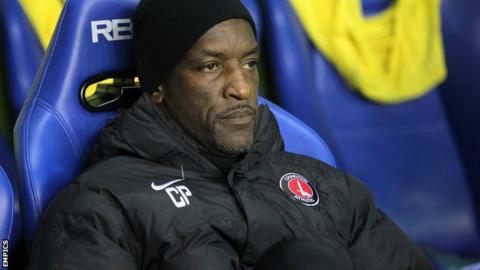 Charlton Athletic manager Chris Powell says his side are ready to battle after losing five of their last seven games. The Addicks are currently one point and one place above the Championship relegation zone. He told BBC Radio Kent: "We are better than that but the hard, cold facts are we haven't got the points we need or deserve. We can't wallow in that. "We have got to come out fighting and ready to turn that around. The players know that and are together." Powell added: "They are still playing for each other and that is what you need - a side that is showing spirit and character no matter what happens. "As we always say, this game can delight and hurt in equal measure. At the moment it is hurting us a bit more but only we can turn that around. "We have got to take solace from how we are playing and keep hold of that. "Every single game for us now is huge, with respect to our position and this football club." Powell said on the eve of the campaign that Charlton's ninth-place finish last season was an overachievement. Despite that the 44-year-old, who is the longest-serving manager in the division following his appointment in January 2011, is eager the club keep progressing. "I've always wanted to build at this club and in the last two years we have," he said. "This year has been real stop-start. Sometimes you do have to have that bit of pain to recognise where you are at and where you want to go. We have got to fight through. That is my character and always has been. "Sometimes you do have to have that bit of pain to recognise where you are at and where you want to go. I had that initially when I came and I was allowed to really shake up the squad. "Last year in the Championship the players' focus was to prove themselves. Sometimes you need that impetus. "We recognise our situation financially but we have to get on with it and we have got to fight through. That is my character and always has been. "It won't be for want of not trying. "There is no way in the world this Charlton Athletic squad doesn't have at least six or seven teams that should be below us. We are where we are and I can say that all day long. "We have to come out the other side with points and moving this great football club forward and up the table."